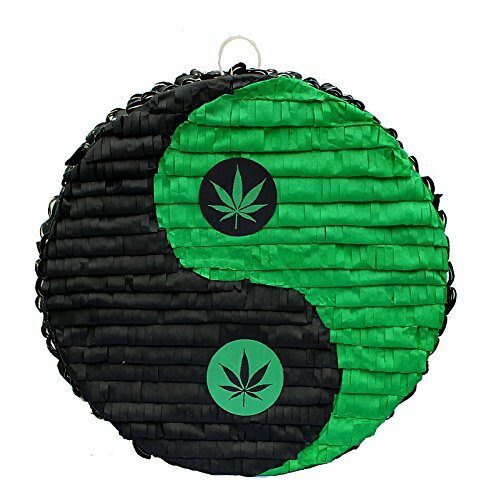 This beautiful Yin-Yang is perfect to match any 420-Friendly themed party. This large pinata measures 18 inches high by 18 inches long by 4 inches deep and can be filled with up to 2lbs of toys and candy (sold separately). You can use this beautiful pinata as a hanging or centerpiece decoration for your food table or just fill with candy and toys and play the traditional party game! Makes a great decoration and even better party game for your 420-friendly party! If you have any questions about this product by Aztec Imports, Inc., contact us by completing and submitting the form below. If you are looking for a specif part number, please include it with your message.